A very easy way to transform a Builder’s Grade vanity mirror is to add a frame of your own to it. The mirror in the kids’ bathroom needed a little something to go with the restained cabinets and fresh paint. All we did was purchase some pine moulding that we stained the same colour as the cabinets. Our mirror is held to the wall by 4 clips on the outside. I forgot to take a before picture. 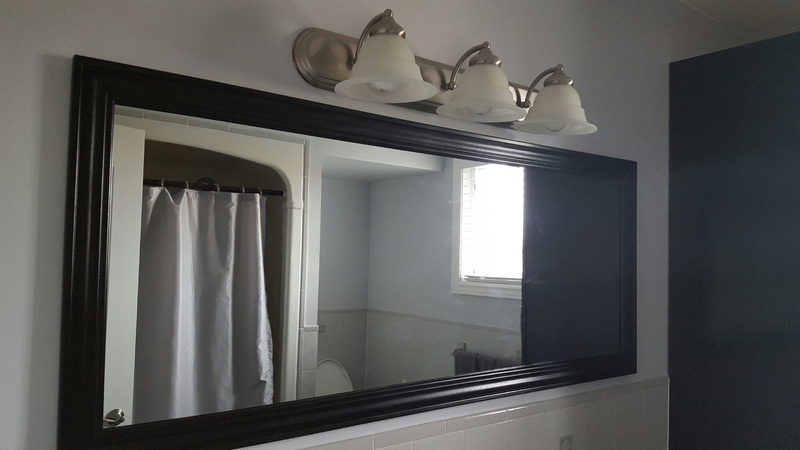 Mr. Restyle wanted to add the frame to the outside of the mirror but the existing light fixture was in the way. 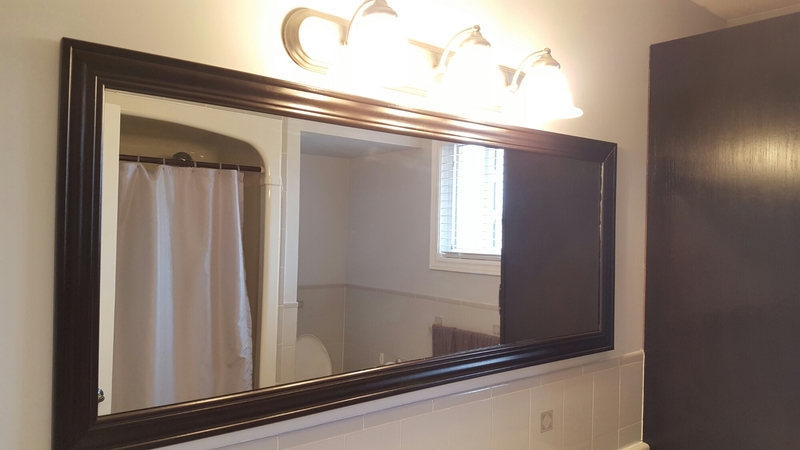 Rather than rewire, move the fixture up and fill holes in the wall, he notched out the back of the frame so that the existing mirror clips would be covered smoothly and then he used a heavy duty glue to fix the frame to the mirror. One thing to keep in mind if you do this is that once the frame is on top of the mirror you will see the back of the frame in the reflection. Don’t forget to stain or paint the back of the frame too! Agree with Cheryl, love these type of tips. Inspirational and stylish without costing too much. Neat tip – looks amazing!